I remember a special collections librarian at Wellesley saying that some of the stories were written on baking powder wrappers. That said, I am no Brontë. 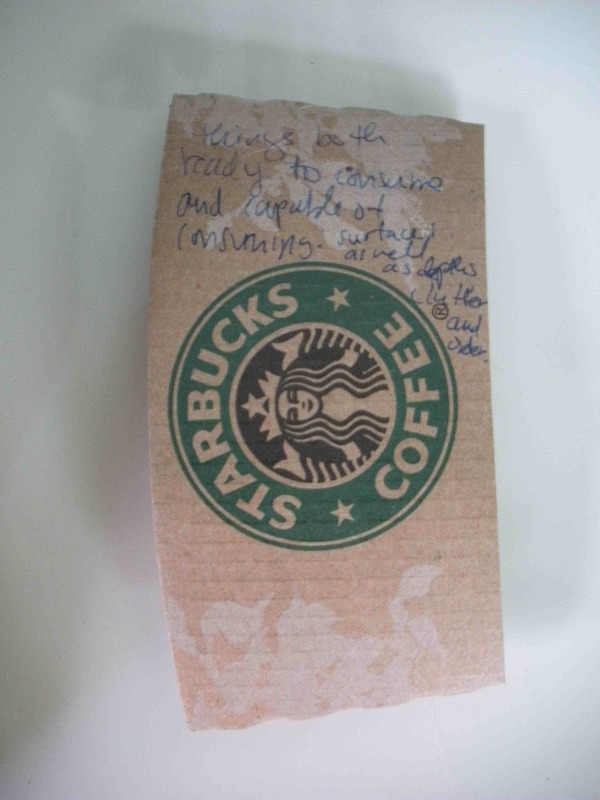 it seems rather fitting, actually, that you would write notes for your dissertation on paper-like objects.